Mr. Coren concentrates his practice in the area of commercial litigation, particularly with respect to complex business litigation, shareholder disputes, breach of contract, business fraud and property tax assessment challenges. He is also experienced in international litigation, including international arbitration proceedings, cross-border discovery, and foreign judgment recognition and enforcement. 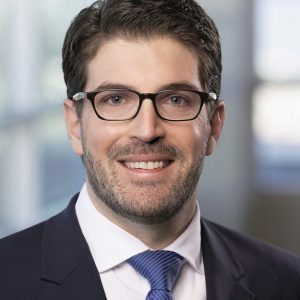 As a member of the Data Security & Privacy Practice Team, Mr. Coren counsels clients concerning federal and state cybersecurity regulations, and assists clients in response to data breaches, ransomware, cyberattacks and other data security incidents. He also represents clients in litigation related to data breaches and data security. Mr. Coren has experience litigating cases in federal and state courts, at both the trial and appellate levels, as well as in arbitration. Additionally, he has experience managing complex electronic discovery matters. Prior to joining Phillips Lytle, Mr. Coren practiced in the litigation group at firms in New York City, where he was part of the trial team for a multinational energy corporation in a two-month civil RICO trial in the Southern District of New York.